IHTI will be coming to Washington, D.C. (Nov 3rd), Secaucus, NJ (Nov 24,25), Chicago (Dec 1st),and Los Angeles (Dec 8th) to conduct private consultations for individuals who are considering hair transplant. Dr. Cole (founder of IHTI), has been practicing FUE and BHT (body hair transplant) longer than any other doctor in the U.S. No knife, no scalpel, no stitches, and no visible scarring. 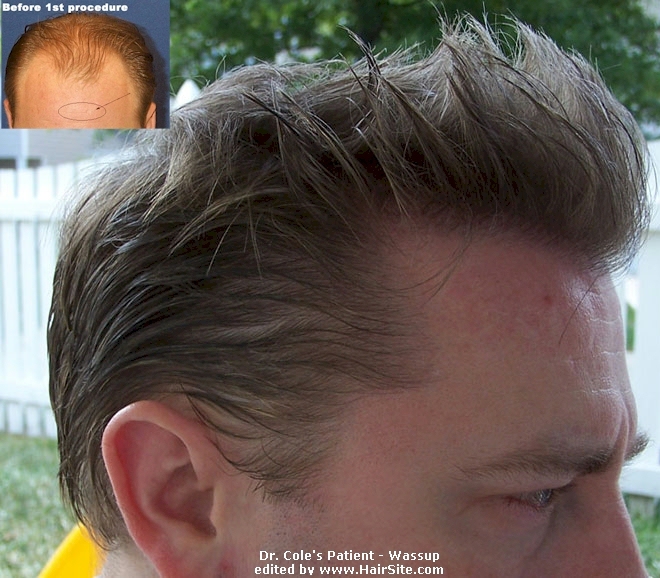 Dr. Cole is also one of the highly respected hair transplant repair surgeons in the world. 10:00 AM until 5:30 PM. Hair Transplant Surgery involves not just a single operation, but also numerous consultations options with medical professionals to make decisions about and plan the surgery.